Now we come to one of the most rather crucial points in the ministry of the Messiah in regards to His establishment of His Kingdom in Israel. No King is truly a King until he has a kingdom over which to rule – a kingdom-less King is an oxymoron in a very real sense. If Jesus is rejected as King of Israel (but He still is, regardless! ), then He cannot officiate in that capacity. In this passage a miracle of such stupendous proportions has just occurred that the people of Israel that witnessed it were truly amazed and wondered if “this [was] the son of David” a title of the Messiah. The mute condition of people mentioned here is interesting because the word for “dumb” means “to be speechless” but also “to bind” as in to hinder or prevent, which in the case of demonic possession would prove difficult for exorcists who would need to know the name of the demon in order to command it to leave. The LORD Himself did this at least once (other possible instances are not recorded in Scripture) in MARK 5:9. According to this Messianic prophecy however, the Anointed One will be able to cast out such demons without the need of knowing its name, which was just accomplished here in MATTHEW 12! This is why the people wondered if this Jesus of Nazareth could indeed be the Messiah! This occurred once before in MATTHEW 9 . . . The LORD made no reply to the accusation of the Pharisees in this case, that Jesus accomplished this exorcism by the power of “the prince of the devils” in Chapter Nine, but He does in Chapter Twelve when the Pharisees again make the same accusation! The LORD did every miracle He performed by the power of the Holy Spirit, and the Spirit Himself never draws attention to Himself, but always points to the LORD Jesus Christ (JN. 15:26; 16:13-14); thus to reject the witness of the Spirit Who testifies of Jesus Christ is ultimately to reject the means of salvation and therefore forgiveness for sin is not possible while one persists in rejecting the testimony of the Spirit (See also JN. 16:8-11). In the mouth of two or three witnesses shall every word be established it says in DEUT. 17:6, and since this is the second time the Pharisees made this false accusation, the LORD then replied to their statement, but something else is going on here as well. These signs performed by the LORD were witnesses in themselves of the fact that He is the Messiah of Israel, and because these signs were being officially rejected by Israel's religious leadership (and eventually by the nation as a whole), the proclamation of the kingdom (of Israel) is diminished until finally the focus shifts away from this proclamation to that of the church (MATT. 16:18) – which is NOT to say that the Kingdom promised to Israel, being led by their Messiah is over and done with! The commencement of the Kingdom of Israel is merely postponed at this point (ACTS 1:6-7; ROM. 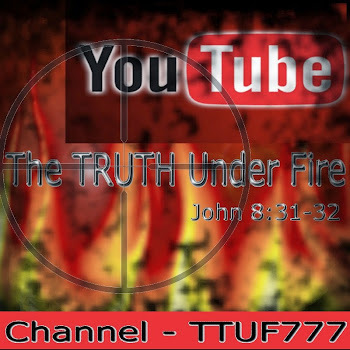 11:26), and this will give the Gentiles the opportunity to hear the Gospel and find salvation as already mentioned in this chapter (vs. 21; ACTS 11:17-18; ROM. 11:11) in the formation of the church (MATT. 16:18; ROM. 10:8-13; see also EPH. 2 and 3; especially EPH. 2:1-8 and EPH. 3:4-9; COL. 1:18, 24). In the next chapter of MATTHEW (13) we will also notice something else that changes in the ministry of the LORD Jesus Christ: for the first time in His ministry He begins to speak in parables. This is such a difference in the manner in which He speaks to the people that it causes the disciples to ask Him about it, and the LORD's answer is most telling! But for now let's continue here in chapter 12. The only one who can produce good fruit is the same one who alone is good, and that is God Himself (MATT. 19:17); we understand this as “the fruit of the Spirit [of God]” (GAL. 5:22), which is produced in God's children; but before this can be manifested in the life of a saved soul, there must first be the “fruit of repentance” (MATT. 3:8). Nevertheless, any tree not bringing forth good fruit is rejected and burned; the LORD likewise rebuked the religious leaders of Israel, calling them a “generation of vipers” or in another vernacular, the children of the devil who is their father (JOHN 8:44). These 'evil trees' cannot bring forth (any) good fruit; nor does a good tree bring forth evil fruit – because the fruit is in accordance to that which abides in the heart of any individual: if the Spirit of God indwells them, then they will bring good fruit, or “good treasure”; without the Spirit of God an individual has nothing except the fallen nature of sin to produce evil fruit and treasures. Both forms of 'treasure' will bring forth like things. This is why any enterprise of fallen man, no matter how noble the intentions, or how grand the vision, or how good it may appear, will eventually bring forth the corrupt fruit of sin; because such enterprise is produced by sinful man, it will bear fruit in kind. Man is hopeless in his plight of ever creating anything that would prove worthy of God, or ultimately beneficial for society because he is stained with sin and all that he touches will exhibit this taint. Contrariwise, any who are born of the Spirit of God are capable by the grace of God to produce good fruit (GAL. 5:22-23) in as much as such will live the crucified life and keep their (sinful) body under control (GAL. 5:24-25; 1 COR. 9:27) so that they will yield to the Spirit of the LORD Who will grow such fruit in their life. 2 Be not rash with thy mouth, and let not thine heart be hasty to utter any thing before God: for God is in heaven, and thou upon earth: therefore let thy words be few (See also JAMES 3:10-12). The greatest sign that these religious hypocrites could ever hope for would be the arrival of the Messiah – and He was standing right in front of them! Not to mention the fact that He has been performing healings and miracles left and right; they are merely 'thrill seekers' in a sense, because they seem more interested in signs than salvation! Sadly, much of the professing church seems equally obsessed with such phenomena . . . There is one sign however, that the LORD indicated, that is the sign of the prophet Jonah; the LORD here reveals that just as Jonah was in the heart of the whale for three days, He Himself would be in the heart of the grave for that same number of days. Yet, like Jonah, He would arise from that place in resurrection – the ultimate sign of Who He is: the resurrected LORD of Glory Who defeated sin, death and hell on our behalf! His simple arrival on the scene of planet Earth however is enough to condemn those who rejected Him, because Jonah – a mere prophet, and not the Word Incarnate, arrived in Nineveh and the entire city of those savage Ninevites of the Assyrian empire were convicted of their sin and repented. Not so, Israel at the preaching of the Word made flesh! And because of this, they shall obviously incur the greater judgment against them. Likewise the Queen of Sheba, a kingdom of the region of Ethiopia and Yemen traveled the long journey to Jerusalem to hear “the wisdom of Solomon” and was confounded by the brilliance of his mind no less than the opulence of his palace and nation. Yet she testified of the truth regarding this wisdom of the Jewish King (1 KINGS 10:1-24); but One greater than Solomon – the very One who gave him his wisdom, was standing in the midst of these religious nay-sayers and they utterly rejected Him. Thus the Queen of Sheba will condemn them at Judgment Day. On a side note: There are those who disparage the story of Jonah, stating that it's a mere fiction, an allegorical Jewish legend. Yet the LORD Himself refers to Jonah and the incident at Nineveh as a real event. On the account of Jonah and an explanation of the different possibilities on what actually happened, go here to read a short article by www.christiananswers.net. I believe the LORD is making an analogy of the very legitimate and real condition of demonic possession and comparing this with the spiritual state of His people Israel. The fact that demonic spirits are real, that they inhabit people and can leave (or be exorcised) and return; the fact that they return with others more powerful than himself to ensure their security in the hopes that any future exorcism will prove unsuccessful is related here to Israel. In a very real sense, John the Baptist conducted his ministry in 'cleansing' and preparing Israel for the arrival of the Messiah. He cleared the road, and “[made' straight in the desert a highway for our God” for the coming One as promised by the Scriptures. Yet the religious leaders discounted any application of Messianic passages on Jesus' account. Their rejection of the Messiah became more pronounced and adamant over time, until finally they rejected Him ultimately in demanding His crucifixion. 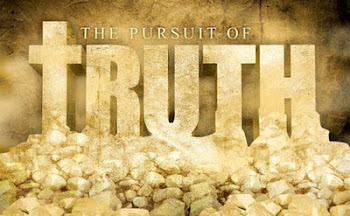 This is the way of all souls who are presented with the truth of God's Word, most especially the truth of the Gospel. If received, these are the ultimate and greatest blessing that we sinners could never hope for, but are freely granted by the grace of God! Yet if rejected, these become the means of the greatest and harshest condemnation that unrepentant sinners will ever face in Judgment from the Holy throne of God (See LUKE 12:45-48; 2 THESS. 1:7-9)! Here we have an occurrence where the LORD's mother and brothers (perhaps merely relatives, such as cousins, but certainly could include His brothers (MATT. 13:55-56)) are enquiring of Him, and what the LORD says in response might be seen as disrespect, but such is not the case. The LORD Jesus was never disrespectful of His mother, and even in His agonizing death throes on the cross, saw to it that she would be properly cared for after His demise (and subsequent ascension after His resurrection; see JOHN 19:26-27). What He was conveying in this statement was the nature and dynamic of the family of God as being superior to any earthly, human family associations made in this world. Such familial situations based on family blood lines are temporary, lasting only the duration of this terribly short life span of ours. The eternal nature of the family of God will be based on relationships that shall last forever and on the blood of Christ, the Lamb of God! Just as children are expected to obey the word of their fathers, so too the children of God must be expected to “ . . . do the will of [the] Father . . .” and such is the trademark of their genuine spirituality and family lineage to the LORD Jesus Christ via the rebirth (JOHN 3:3; 1 PETER 1:22-23). What a blessing to have such associations with the saints, the family of God! We will know the sweet fellowship of the saints no less than the rapturous love from the LORD Himself, and never know the sorrow of departure or the forlorn separation of loved ones who pass away. Every tear will be wiped away, every sorrow forgotten, every heart-ache mended in that eternal realm of Heaven, the dwelling place of the family of God! So, here ends the chapter, and as we delve into MATTHEW 13 we will see how the rejection of the witness of the Spirit of God in relationship to the exaltation of the Person of Jesus Christ, the Messiah-King of Israel will affect His ministry to Israel. Stay tuned and may the LORD bless and keep us in His grace and truth, to the glory of Jesus Christ our LORD and God our Heavenly Father! Amen!